Segafredo Zanetti New Zealand is proud to bring the world’s most famous and appreciated coffee to the homes, offices and cafes of New Zealand. 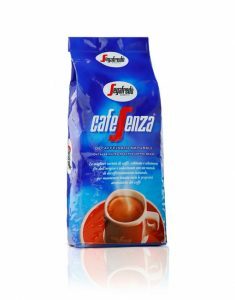 Coffee lovers the world over have come to know that one of the core values of the Segafredo Zanetti brand is quality. 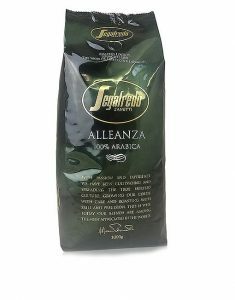 Segafredo Zanetti is the only coffee company in the world that can ensure quality by controlling the whole production process from plant to cup . We control plantations in the best coffee growing regions of the world and have roasting facilities which are equipped with the latest technology to ensure consistently roasted beans. This first class 100% Arabica blend of the finest Central and South American coffee origins, is the culmination of years in perfecting its roasting profile. Roasted locally it is a must for Arabica lovers ideal for milk based coffees. Segafredo’s Extra Strong is made with premium grade high altitude Arabica beans to create a perfectly balanced drink. Extra Strong is full bodied with a smooth, strong unique taste that you won’t find in any other blend. A perfectly crafted roast from Central and South America. Massimo is famous for its chocolate and sweet tones. 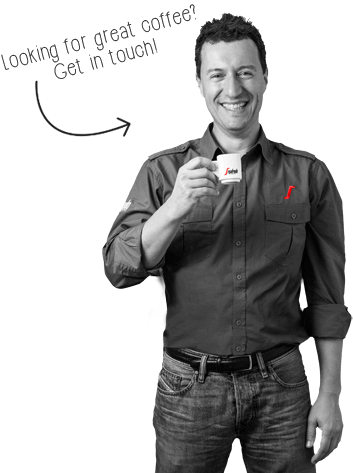 Massimo is Segafredo’s number one selling blend in Melbourne, the coffee capital of Australia! A Fairtrade Organic certified coffee featuring a superb blend of Arabica and Robusta beans. This dark roast produces a well rounded coffee that is rich in flavour. Certified as the official coffee of the Dutch Royal House. Don’t be fooled by the name – Segafredo Extra Mild still packs a punch! On its own or with milk, Extra Mild is sweeter and smoother than other blends, but is still strong enough to cut through the tallest Caffe Latte. Segafredo Decaf Coffee is for those looking for a coffee blend without caffeine but still want the taste of original Italian coffee. Using traditional Venetian roasting methods give our Decaf the perfect aroma and full bodied flavour. water quality: use mineral water instead of tap water: otherwise consider investing in a water filter. This is because tap water’s concentration of limestone may prevent the correct functioning of the machine and impact on the coffee quality. Every two months use the appropriate descaling liquid or powder descaling solution for home espresso machines. 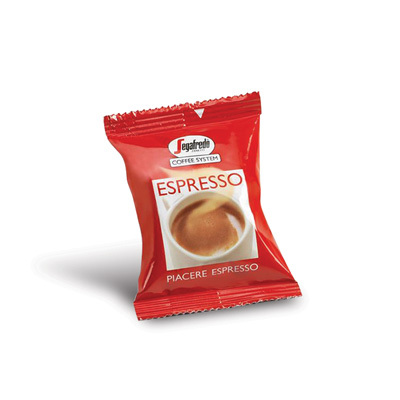 dosing: a single shot of espresso usually corresponds to 7-11g of freshly ground Segafredo coffee beans. If you’re using a double filter, make sure your doubling the dose as well. tamping: once you’ve filled up the filter-holder, strike it gently on the table or on the inside of the hand in order to distribute the coffee powder evenly – do not hit the basket with the tamper as you will damage it sooner. Then press the coffee strongly using the supplied coffee tamper: a levelled surface is fundamental in order to fix a good Espresso. timing: the coffee has to come out the nozzle forming a continuous and even stream. Pay attention to the extraction time: if the coffee comes out too quickly (under-extraction) try to press it with more intensity; in case it should come out very slowly or even dripping (over-extraction) check the pressure the other way. A good time for coffee extraction is generally between 25-35 seconds. maintenance: every time you prepare the coffee, clean away the powder remains of the former coffee from the filter, in order to avoid undesired coffee grounds in your cup. To do so, let the water flow through the empty filter, just as if you were preparing a coffee. Roasting beans the right way is both an art and science. It requires a refined taste combined with an eye towards precise measures and ratios. Segafredo Zanetti takes time-tested Venetian roasting techniques handed down through the years and combines them with technological innovations backed by years of scientific research. Our passion for insatiable research has allowed us to keep up with the times, while keeping our foundations firmly rooted in our history. We offer a range of environmentally friendly coffee capsules that are 100% biodegradable. These were developed in conjunction with the University of Milan. EcoPure is added to the plastic in our coffee capsules to make them biodegradable. EcoPure won’t interfere with the flavour of the coffee and allows the capsule to be deposited with your green. These capsules biodegrade 230 times quicker than traditional capsules!